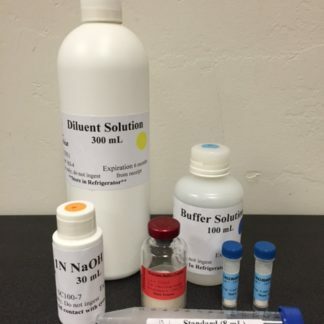 ﻿ The Deluxe Lab Accessory Kit – Vinmetrica – Sulfite (SO2), Malic, Alcohol & pH/TA tests for Wine, Beer & Kombucha. Do you own or are currently purchasing a Vinmetrica analyzer? Are you looking for a little added precision in measuring your titrant levels and to have that added level of convenience? Then look no further! With the Deluxe Lab Accessory Kit you will be measuring your wine samples faster, with a better resolution and higher precision. The Glass Burette adds precision. 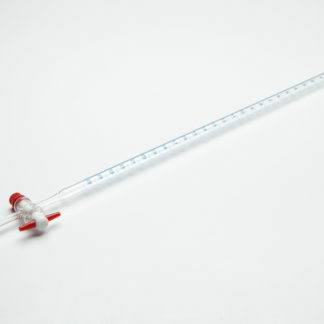 A Glass Burette allows you to ascertain better resolution and precision in your measurements. It comes with a Teflon stopcock, so no need for greasing or other messy maintenance. With a burette full with SO2 or TA Titrant, you can do more titrations without having to refill the burette. Just mark down your final and starting levels for each titration, then start the next one. If you have a number of wine samples to handle at once this can be a huge time saver! The burette detergent (included) keeps the glass clean between uses. The Lab Support Stand and the Double Burette Clamp make adjusting the height of your burette easy and keeps it within your control. The Magnetic Stirrer maintains wine sample uniformity. 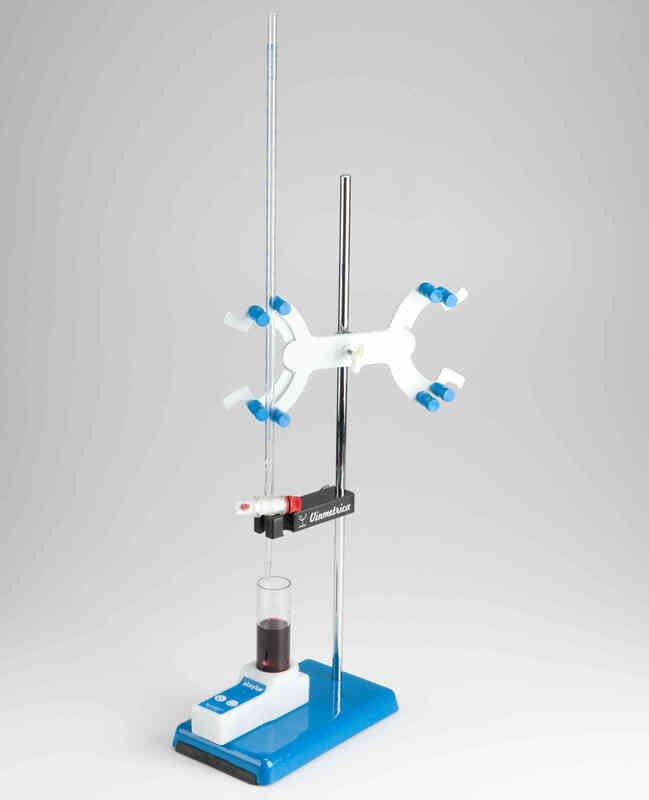 The magnetic stirrer and included stir bar give you a hands free way to keep the wine sample stirring so you can focus on doing an accurate titration. 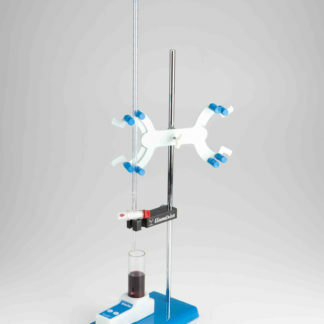 It is important to keep your wine sample well mixed during the titration to produce the most accurate results. 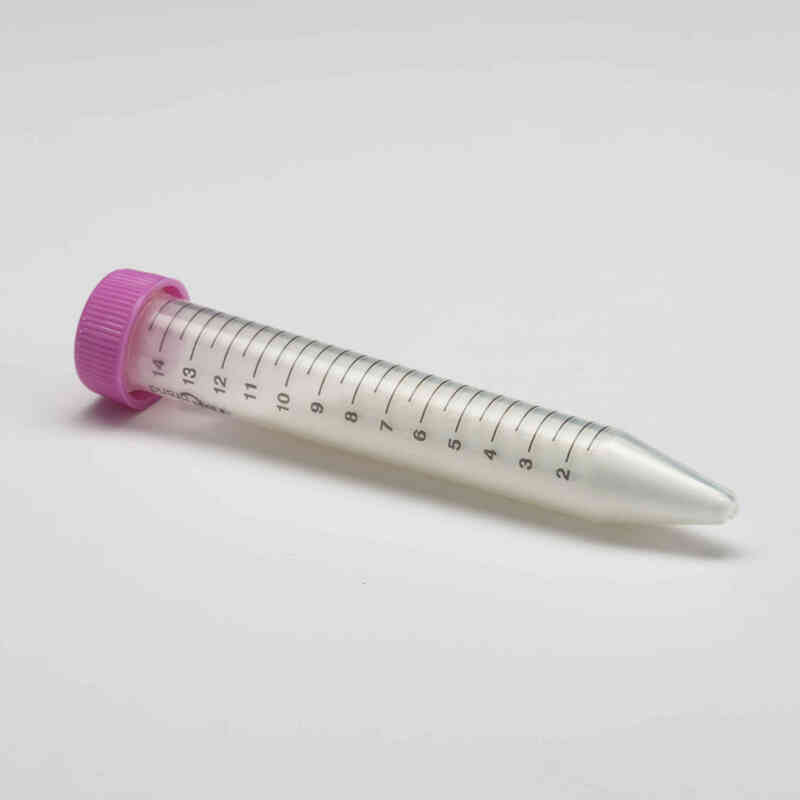 This comes with a 50 mL cylinder or can be used with the titration beaker provided with any one of the Vinmetrica Analyzers. 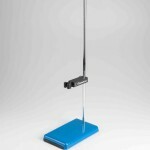 When using the Magnetic stirrer it is important to keep your Electrode away from the spinning stir bar. To keep your electrode secured and free from the spinning stir bar use the Vinmetrica Electrode Holder included in the kit. 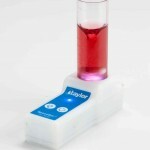 The magnetic stirrer includes a convenient light which illuminates your wine sample. Make sure to rinse off the electrode between samples using the handy Rinse Bottle. 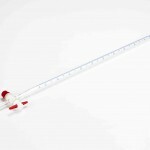 The Vinmetrica Electrode Holder keeps your electrode steady when you are doing a titration. It also attaches to the Lab Support Stand and has a convenient thumb screw for adjusting the electrode to the right height. By making your electrodes safer, you prolong the life of the electrodes and this safety also gives you more control over your measurements. The Electrode Holder can hold up to two electrodes simultaneously plus it has a convenient slot for sliding the burette into. Securing your burette and electrode together using the Vinmetrica Electrode Holder makes performing titrations easier and more precise.